Fire-rescue crews from the Dulles South and Aldie fire stations went into the cold—and into icy water—Sunday to help a goose on a frozen pond south of Dulles Airport. 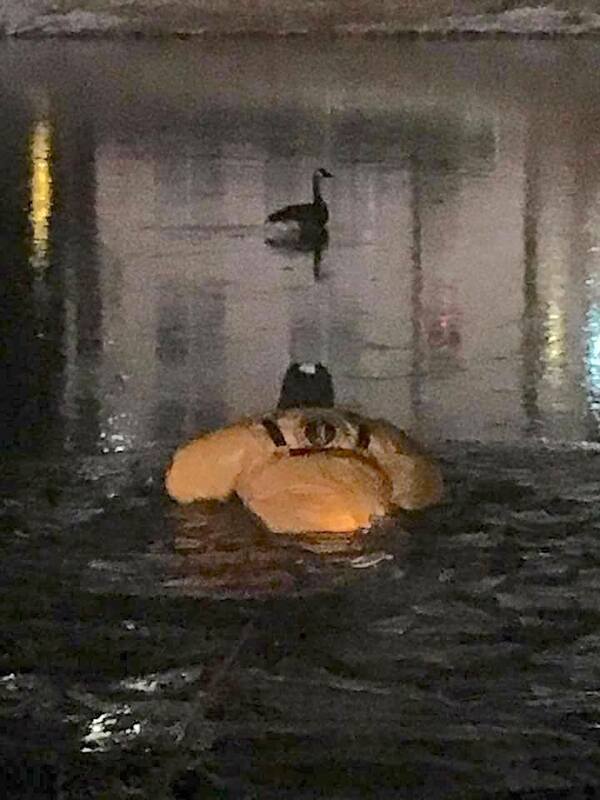 According to a Facebook post by International Association of Firefighter Local 3756, crews were called to the scene to aid a goose that appeared in distress—either sick or injured—and apparently stuck on the ice in the pond. 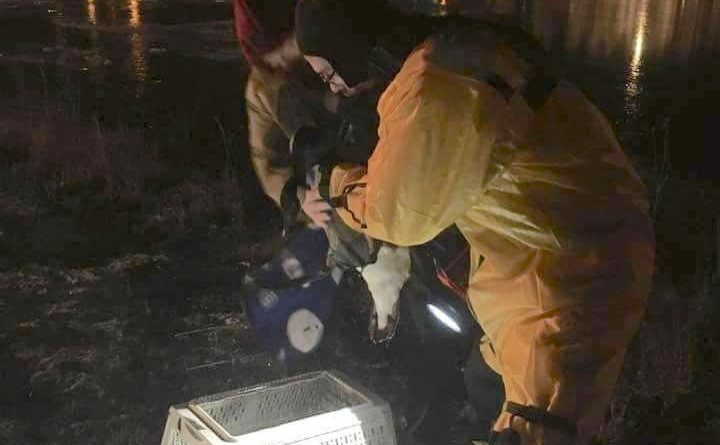 The union reported that several methods of retrieving the bird were tried, but ultimately, the decision was made to don ice rescue suits and go out to the goose. Photos show the goose being rescued and placed in a carrier for transport.